Dr Harold Drayton, the individual who was tasked by then Premier Cheddi Jagan to establish the University of Guyana (UG) in 1963, passed away in the early hours of Sunday morning, March 11, in the United States. He became ill on Friday and was rushed to the hospital where he died. He was my Biology professor and close friend. On behalf of myself and my family to whom he endeared himself, and his many friends in the now dormant Ontario Chapter of the UG Guild, I extend our heartfelt condolences to his wife Vonna, children Alison and Richard, his grandchildren, and his siblings. We are deeply saddened by his passing. Harold Drayton was born in Georgetown, Guyana (then British Guiana) in 1929 and grew up with a doting mom and stepfather. Of them, in his memoir published late last year under the title An Accidental Life, he writes “together and cooperatively [they] made it possible for me to survive, to grow and develop both physically and intellectually, and gave me my earliest insights into the world, beauteous and hideous, that mankind has made”. He spent his retirement living in the US; however, his heart remained in Guyana. He was very excited when a chapter of the UG Guild was established in Toronto in 1993. In 2002, he contributed the largest chapter in the book University of Guyana: Perspectives on the Early History, published by this chapter. During the more than twenty years of the active life of this chapter, he visited Toronto almost every year to attend the annual dinner and dance and reconnect with his former students who loved him dearly. On those occasions, over dinner and drinks at my home, we would spend many hours chatting about Guyana and the UG. Until just before his passing we kept in contact on a regular basis, spending hours on each call. Harold Drayton is gone but his legacy will live on. The UG which was derogatorily called ‘Jagan’s night school’ when it was established, is now a national institution and expanding still. I thank our University, and especially Deputy Vice Chancellor, Dr. Barbara Reynolds, for their kind offer to host the launch of An Accidental Life on our very own TURKEYEN Campus; and for the invitation to deliver a formal lecture. I have chosen to talk with you today about the origins of this place that so many of us over the decades, have come to love; but also, about an important element of our national life to which UG might wish to make a substantial contribution: the enhancement of democratic political practice. It is my firm belief that our University’s contribution would be of inestimable value to our young nation, and to generations of Guyanese yet unborn. For if not UG, where else in this nation is there likely to be such a high concentration of talents and problem-solving abilities? After being away for thirteen years, I returned home on Old Year’s Day 1962, to assist in establishment of a national university, which had been approved by Cabinet; and recommended to the Minister of Education, by Working Parties fully representative of all professional groups and all potential stake holders. That said, it must be acknowledged, that as with virtually all other national issues at that time, the ‘body politic’ in BG was divided between endorsement of, and opposition to, the idea of a local University. Nor was that all: by the early 1960’s, the social context and atmosphere of our beloved country had become quite antagonistic to healthy argument and discussion on a wide variety of issues. In our capital City Georgetown, I knew of only one café-Itabo, in which such discussions were the rule rather than the exception; and beyond City limits, there was one home-that of Dr. Frank Williams of revered memory- that welcomed persons of all political persuasions, and of none, for a long afternoon/evening of well lubricated discussion, and plenty ‘ole talk’ nearly every Sunday. What was particularly galling in my early months back home was the extent to which the initial political cleavage had seeped through every aspect of our national life. How easy it was for example, to be considered ‘politically suspect/unreliable’, simply by ‘dropping in’ for a chat or a drink, at the home of a member of an ‘opposition Party’. Even buying a car from an opposition (‘enemy”) dealership could be considered an anti-Party act. The marvel was that despite that sterile social situation, the University Ordinance – was approved by both Chambers of the Legislature, after vigorous discussion and debate; and assented to by the Governor on 18 April 1963. The first meeting of the Board of Governors was convened the very next day by our first Pro- Chancellor John Carter; and with the participation of our first Vice Chancellor and Principal, Professor Lancelot Hogben. Lancelot left shortly after for his Welsh valley, and the UG Action Plan continued to be rolled out in the midst of the 80-day strike. Of great concern were two major issues: the public response that could be expected to the advertisement for students of the Arts, Natural and Social Sciences; and our ability to assemble a teaching staff to match the demand of our first year of undergraduate teaching. At our Press Conference on 30 August 1963, I was able to announce that we had interviewed 263 of the 680 applicants. Finally, 179 students-149 men and 30 women were selected for admission to the University’s first year classes. I was also able to announce that 7 full-time and 4 part-time staff had been appointed. On Tuesday 1’st OCTOBER 1963, the Inaugural Meeting of the University of Guyana was held in the Auditorium of Queen’s College- our University’s temporary ‘home’ for the first six years of its existence. For me, as for so many colleagues, especially those in the Ministry of Education, who had worked so hard over the preceding nine months, to initiate development of a National University, it was an evening of great joy, despite the many difficulties we had already encountered, and even more in a future that we could but dimly imagine. By the time classes started in earnest the very next evening, we had long since achieved consensus on English and World Civilization as compulsory courses for Arts and Social Science majors, and a single course in Mathematics was stipulated for all Natural Science majors. But what Lancelot and I were most concerned about, was the increasing disunity, strife and violence that over the past seven years had replaced the initial unity that had initially been so much in evidence between the two largest ethnic groups: (descendants of African slaves) and (descendants of Indian indentured immigrants) in the Guyanese National Movement. Our initial approach was to introduce into UG’s curriculum two interdisciplinary courses – Caribbean Studies and Social Biology, as compulsory requirements for second year students of the Arts and Social Sciences. Although detailed planning of the former was almost complete, and included assured participation of Guyana’s own Professor Elsa Goveia, and other Caribbean and U.S. scholars, its implementation proved to be much more difficult. 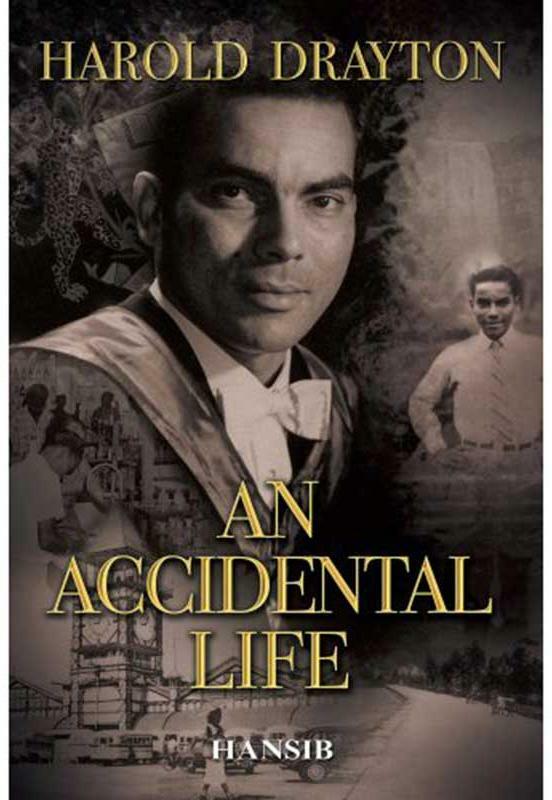 Nevertheless, its content might still be of some interest to today’s audience; and a detailed description of the Course is given in Chapter 6 of An Accidental Life. The SOCIAL BIOLOGY Course, which was solely my responsibility, was directly relevant to Lancelot’s “compulsory curriculum of civic studies”, initial planning of which was completed during our Foundation Year 1963-64. The first Course was delivered in 1964, and was repeated with essential updates annually through 1971, in 90 Lectures/Tutorials over each 30-week academic year. As with Caribbean Studies, a detailed description of the course content of Social Biology is given in CHAPTER 6. In 1967 the external examiner for the Course- the late Professor John Maynard Smith reported to the Inter-University Council that his discussions with students and with me, “left him in no doubt that the Social Biology Course is performing an extremely valuable educational function, in leading students to think critically about their society, about their racial prejudices, and about their religious and philosophical views”. Heartening though that assessment is, even in retrospect, one must appreciate that at least five decades have elapsed. We have no way of confirming that the critical thinking about all those important issues, which Smith observed in a sample of the student population, persisted as that group grew older. That problem to varying degrees underlines the inherent difficulty in using curricular design /emphasis to effect: Changes Of Behaviors Among Individual Members Of Human Populations. Our University of Guyana is really quite unique. It is the only higher educational institution in all the English-speaking territories of Africa, Asia and the Caribbean which was created by a Colonial people. It was not a transplant under metropolitan tutelage, but a truly indigenous effort, “grown from seed”, fertilized over the years by national sacrifice, imagination innovation and hard work. Indeed, it was the very prospect of the early attainment of Independence which compelled an assessment of our cultural inheritance. We were concerned about the pitifully small number of trained people available at professional and middle grade levels to perform a wide variety of skilled tasks; the high cost of post- secondary education overseas, which could be afforded by only a tiny minority of the large number of students attaining secondary school-leaving certificates. We were concerned above all by the ‘brain drain’. We were perplexed also, by the failure of tertiary education, even in the West Indian environment of UWI, to eradicate the old colonial values, and the conservative and highly individualistic attitudes, which would clearly be of rapidly decreasing utility in the urgent task of social and economic development which would be on the agenda after Independence. Lack of trained personnel and lack of research were recognized as two interacting factors, which exercise a serious constraint on development. And so, a national University was created in Guyana. Here and elsewhere I have described this act of creation as an act of faith. With no capital grants in sight for permanent buildings and equipment, with the prospect of slender and chancy recurrent annual subsidies, and the related foreseeable difficulties in staff recruitment, how else can one describe that exciting plunge of 1963. But it was an act of faith by a people. Every so often an original act of faith requires a pledge of rededication. To our critics we can smile, and say as would the French: It is the first step that really counts. Seldom does an individual have the good fortune to be “in at the beginning” of an institution, and sustain an active relationship with it for over fifty years. The excitement of 1963 will be with me always, and I continue to believe in the will and capacity of the people of Guyana to further the development of our University in the national interest. « The power of love was felt at the 6th One Love Gala for a safer Canada!